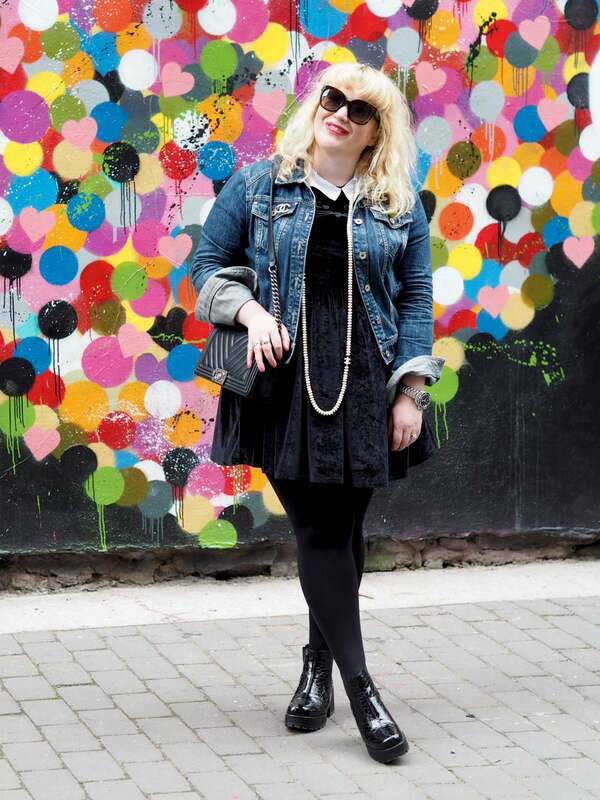 Jetsettin' to Dublin and Paris: Part 3 - Fashion For Lunch. After a wonderful stay at Villa Daubenton, we checked out and headed in a cab to our next location, Hotel Josephine. Ah! 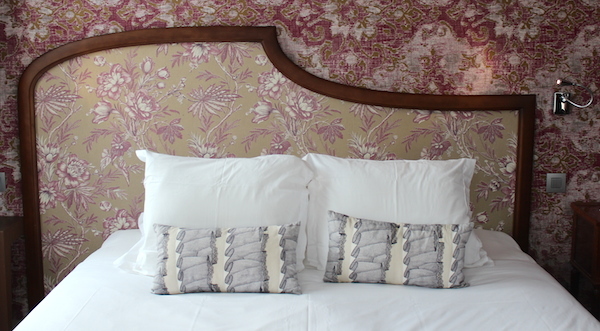 I loved this hotel so much, it is a really fun and quirky hotel in one of the oldest parts of the city, Montmartre. 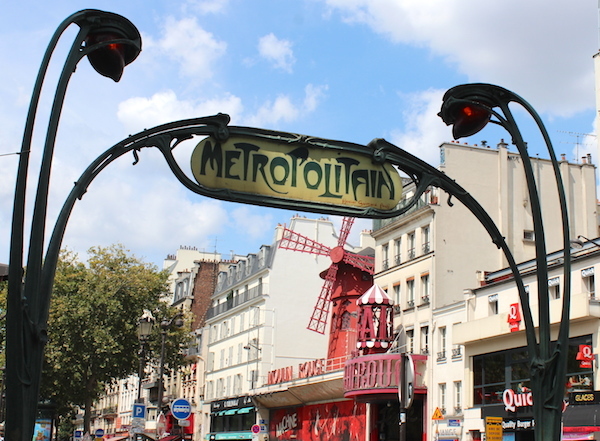 Just down the street from The Moulin Rouge and Sacré–Cœur. Hotel Josephine is named after Josephine Baker, if you have never heard of her, you should give her a google, as she was amazing! She was an incredible Afro-American cabaret performer who worked in Paris during the 20’s and 30’s. During the 40’s she was still performing but also worked as a spy during World War 2 carrying secret messages in her music sheets. 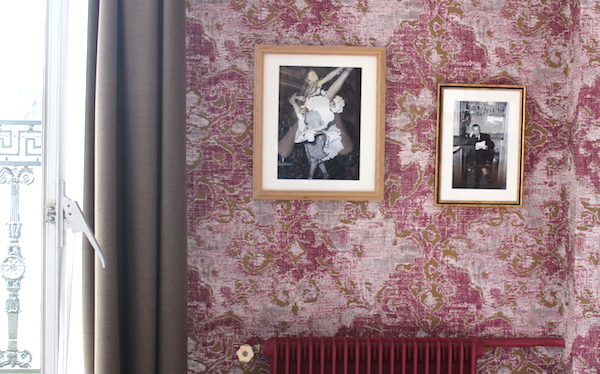 The spirit of Josephine Baker is all over the hotel, there are so many photos of her and other cabaret performers scattered around the hotel and rooms, as well as vintage posters and costumes on display. The hotel is beautifully decorated, slightly aged, but super clean. The staff were lovely and our room was amazing. 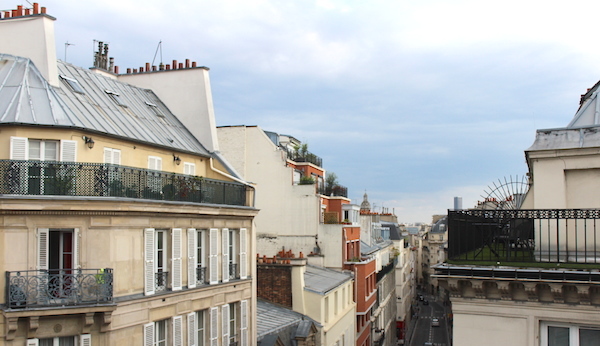 We were on the top floor and we had an incredible balcony which looked over the city streets. It was pretty fabulous! The evening we arrived at Hotel Josephine we asked the hotel staff where we should have dinner, the recommended the most wonderful local brasserie. 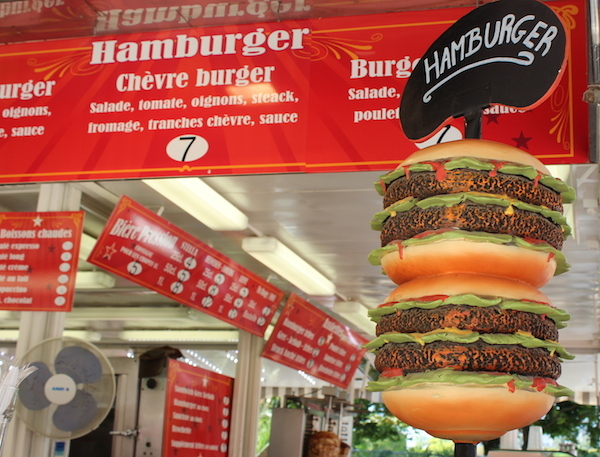 It was amazing, we both had burgers and fries, it was delicious and everything we wanted! After dinner, we went for a evening walk around the beautiful streets of Montmartre and saw the Moulin Rouge lit up, we had ice cream cones and generally roamed the streets until too dark and we headed back to the hotel to sleep! In the morning we got up and had breakfast in the dining room, a lovely selection of croissants, bread, cereal, cold meats and cheese. They also had a juice press, which was a real treat as we were able to squeeze ourselves fresh orange juice! 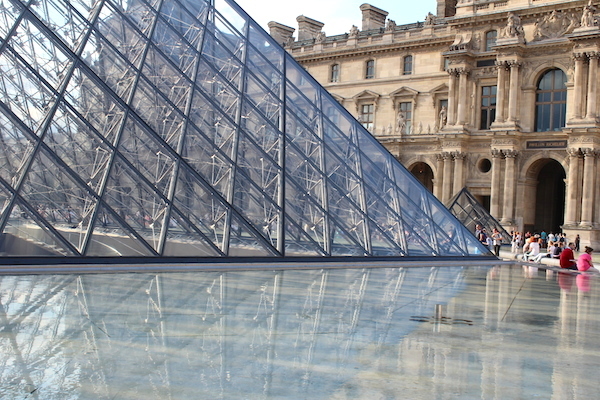 I’m a little embarrassed to admit, but we got up really early that morning as we had planned to go to the Louvre to spend the day at the museum. 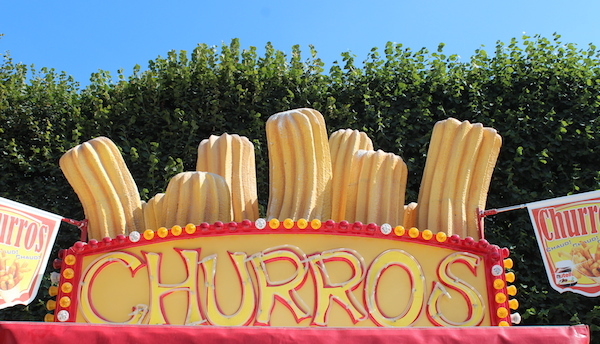 We heard the queues are long, so we wanted to beat the rush… big mistake! It turns out the Louvre is shut on a Tuesday, so there we were at 9am, pumped for a day of culture and learning, only to find it was closed. We were pretty miserable and I even took selfie of myself in front of the the pyramids looking miserable. We figured there was nothing we could do and we were up early and may as well make other plans. 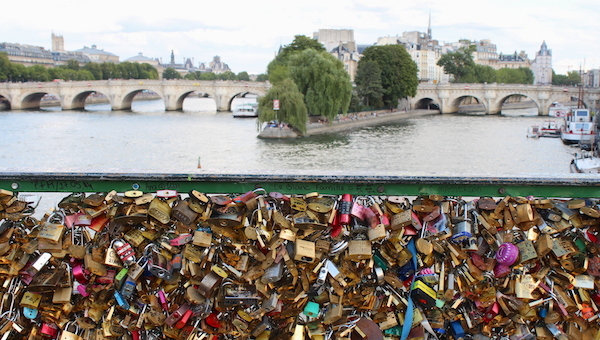 So we took a walk around the outside of the Louvre and headed towards Le Pont des Arts. I love this bridge, it is so beautiful. 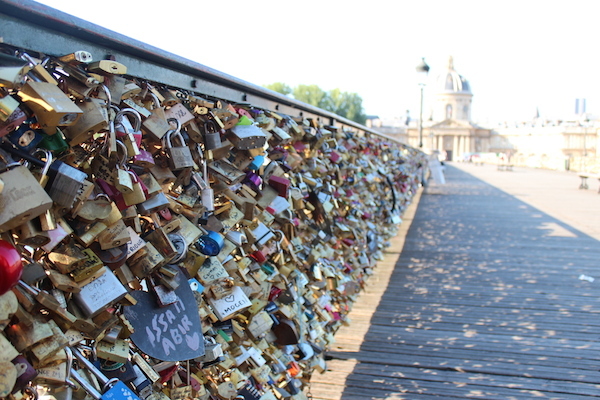 If you have never been, it is a bridge in Paris (just behind the Louvre) where all the lovers attach their padlocks to the sides and throw the key in the river. 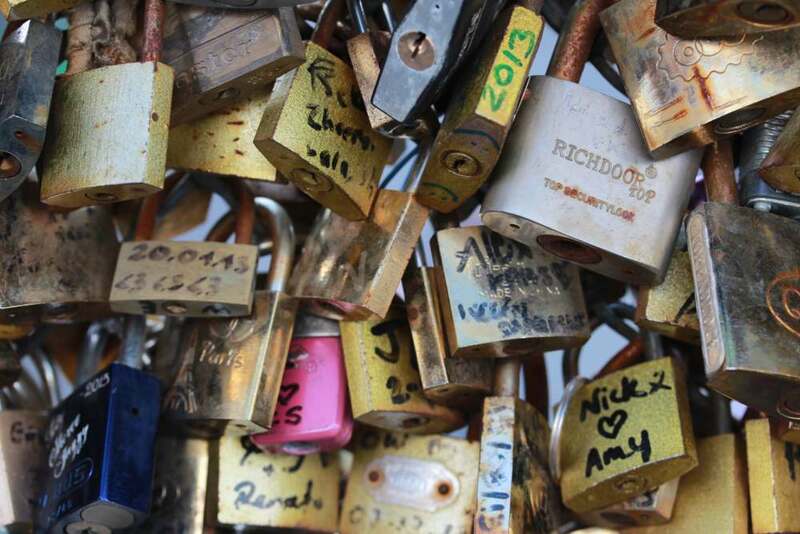 It is pretty incredible, as it is thousands and thousands of padlocks all over the bridge, it is a real spectacle and well worth the visit. 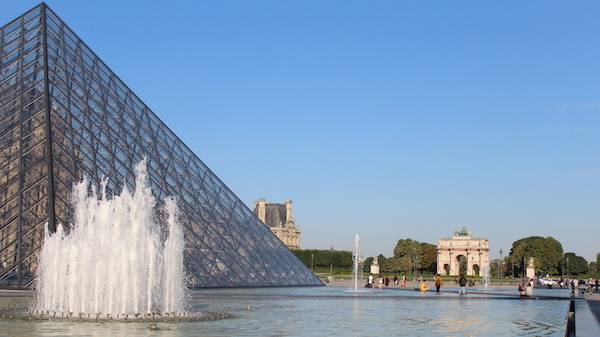 We had a nice roam around the Pyramids and then we headed inside the Carouselle de Louve, as this takes you below ground level to a shopping centre where you can see the inverted pyramid. My favourite cake shop in Paris is Angelina’s, it is world famous and I was introduced to it by my friend Marsha. I insisted no visit to Paris was complete without a treat (or two) from Angelina’s, so even though we were still full from breakfast, we headed to Angelina’s for hot chocolate and cakes. While Angelina’s has a beautiful cafe, we decided to get a take out instead and walk across the road to the Tuileries gardens and enjoy our treats there. 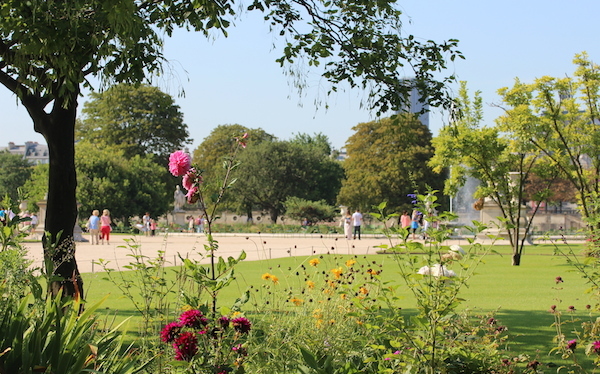 The Tuileries are so beautiful, while I have visited the area many times, this was the first time I had been able to take the time to sit and enjoy the gardens. It was all the sweeter to have a hot chocolate while enjoying the view! Angelina’s is on Rue de Rivoli and it is fabulous. It is such a beautiful building and their cakes are so delicious. They have a cafe where you can dine in, or you can take cakes and hot chocolate to go. Either is perfect. The hot chocolate is phenomenal and the ‘Paris-New York’ cake is my favourite! Angelina’s is perfect! We spent a good hour in the Tuileries, it was so quiet and relaxed and the perfect place to sit and enjoy hot chocolate and enjoy being in Paris. 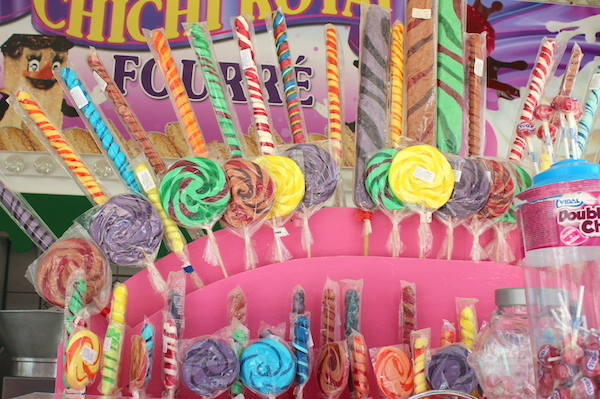 There was also a fun fair on the edge of the Tuileries, which as so pretty, I couldn’t resist taking a million photos! 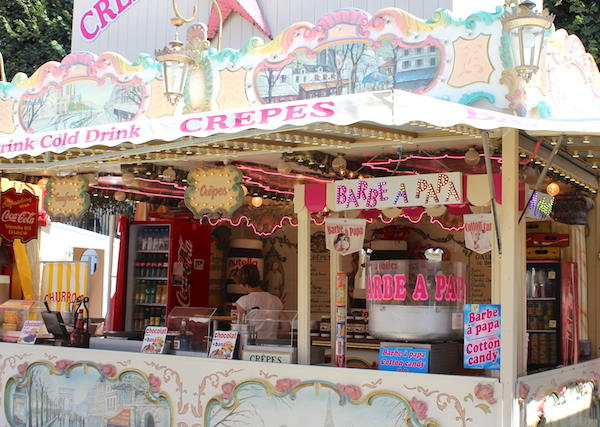 I’m sure to the Parisians the fair is naff, but I thought it was so cute. After, we headed to a few shops in the area, Colette is always a must. They have the coolest clothes and accessories, as well as the best selection of books, magazines, candles and just stuff. 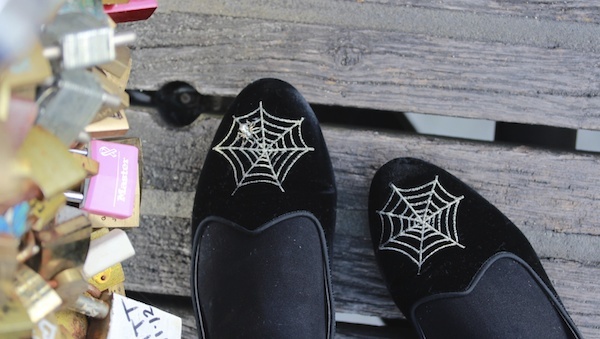 We didn’t buy anything, but we did spend a long time swooning over things! 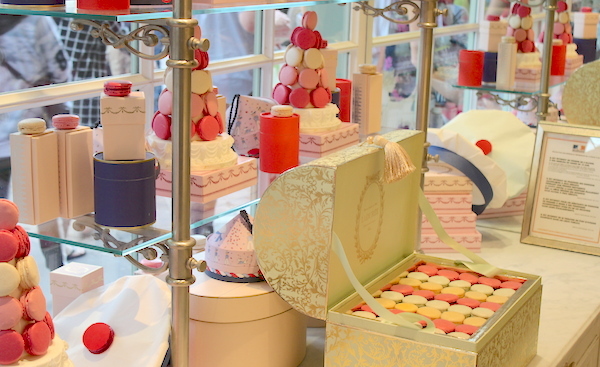 After a few more shops we started to slowly head back to Montmartre, we passed by Laduree and it seemed crazy not to stop by for a few more macaroons to take back to London. 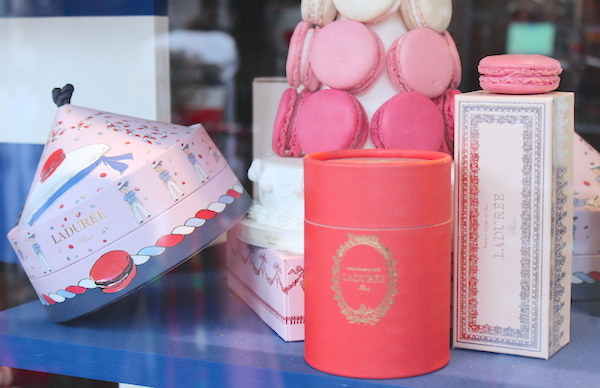 I know we have Laduree in London, but I take any excuse to buy macaroons! 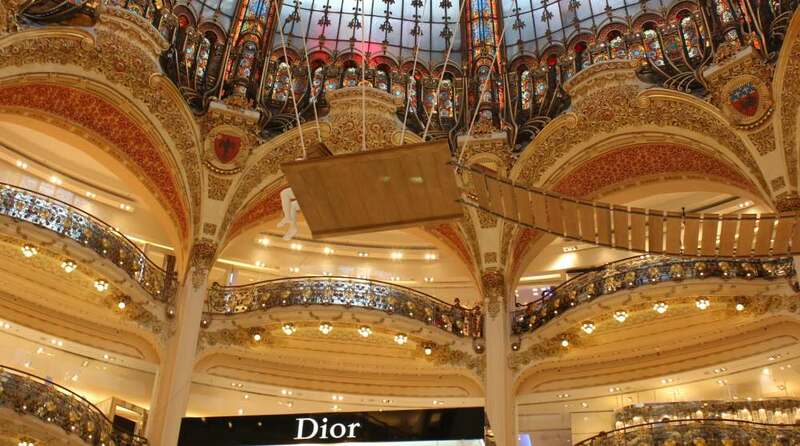 Our route also passed by Galeries Lafayette, which is an amazing department store in Paris. It is in the most beautiful building and it has all the best stores and products in there. Check out the ceiling, isn’t it incredible?! Oh La La! 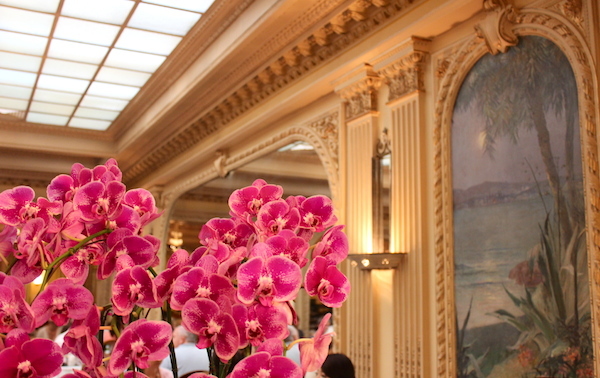 I love Paris and Hotel Josephine was the cherry on top of the cake … the cake being from Angelina’s of course! Next Post These are a few of my favourite things! How funny! I was there a week ago too!!! We could have had macaroons together!! I loved the hotel, I hope you did too!